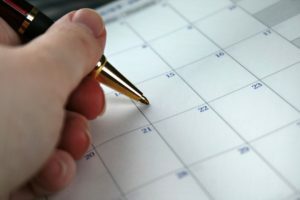 WHAT ARE SOME IMPORTANT DATES FOR PROPERTY OWNERS? Jan 1st Property is assessed as to condition and ownership as of this date. April 1st Deadline for filing self-reporting forms for business personal property. August 15th Assessment books cannot be opened for review by taxpayers before this date. August 30th Deadline for open inspection for correctness of assessment by taxpayers. November 15th Tax roll must be filed by this date. Tax notices usually mailed shortly after November 15th. December 31st Property taxes are due and payable by this date and become delinquent thereafter.